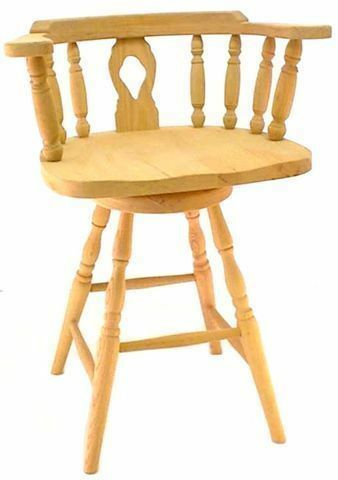 Here's a popular pick for bar seating--the Amish Wheel Fiddleback Captain's Barstool. From colonial times til now, the fiddleback design endures and is featured in the back of this bar chair. This wood seat cups the back and a scooped seat offers support. Legs are turned and stretchers offer support for the feet. The low back of the captain's barstool makes it a popular pick for businesses too. Casual and comfortable and built in the wood and finish that best fits your decor. Contact us at DutchCrafters for the best solid wood barstools you can find.